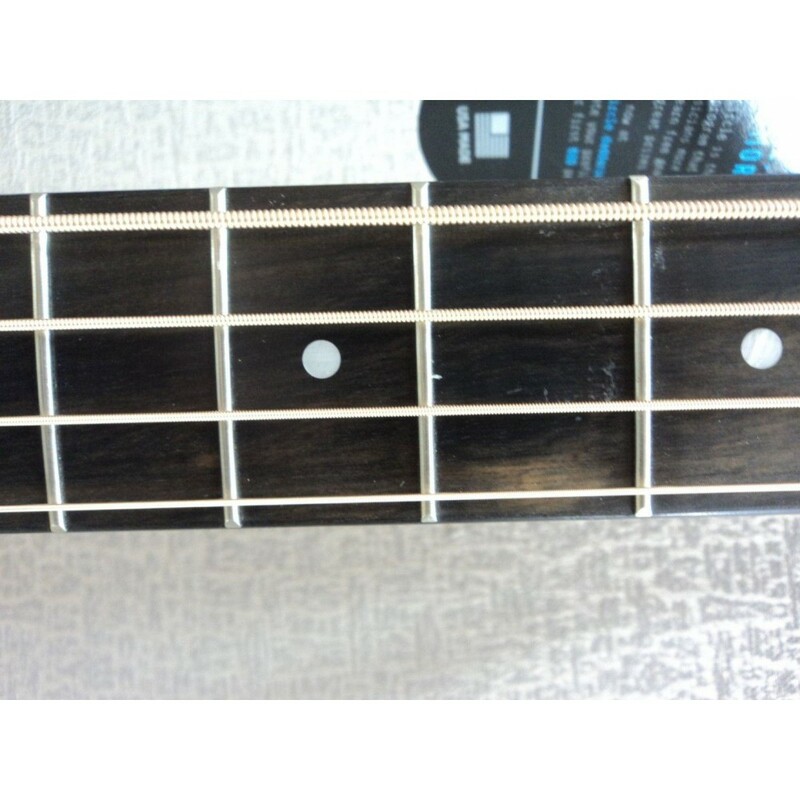 This great bass guitar came to us directly from Guild as a grade B1 blem. 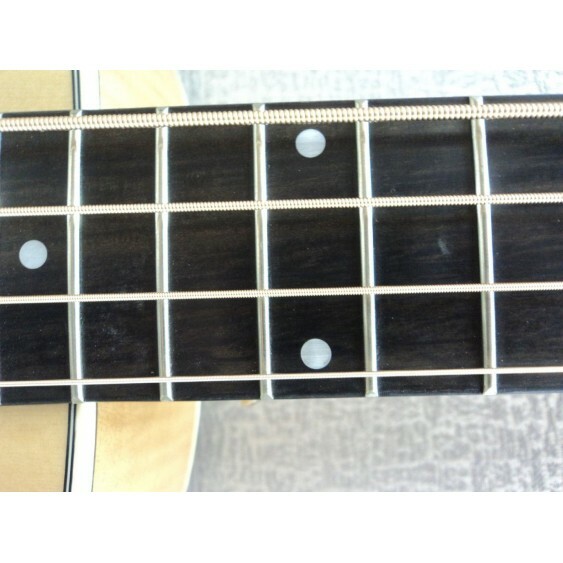 This guitar has been fully checked out for function both at Guild and in our shop. 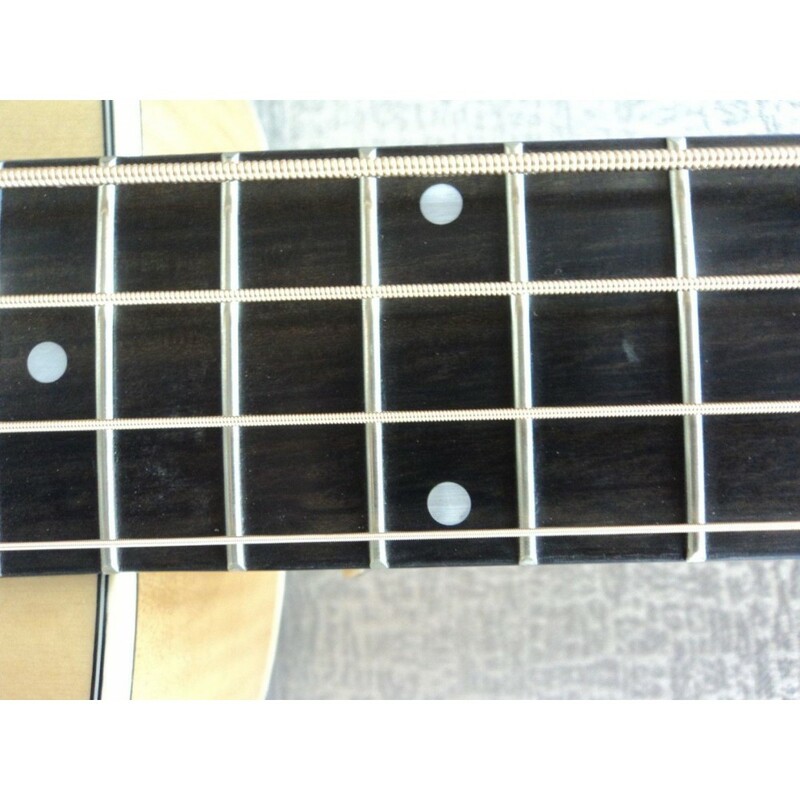 It has a few minor glue marks on the fretboard as you can see in the last two photos. 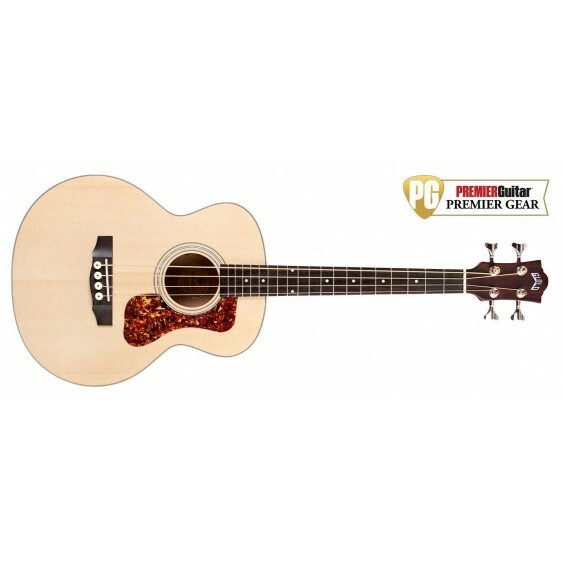 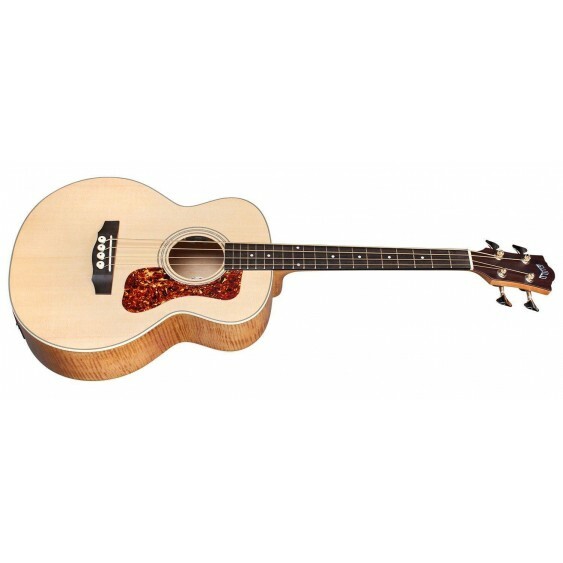 Meet the Jumbo Junior Bass, a compact four-string that checks the boxes for robust acoustic bass tone and portability. 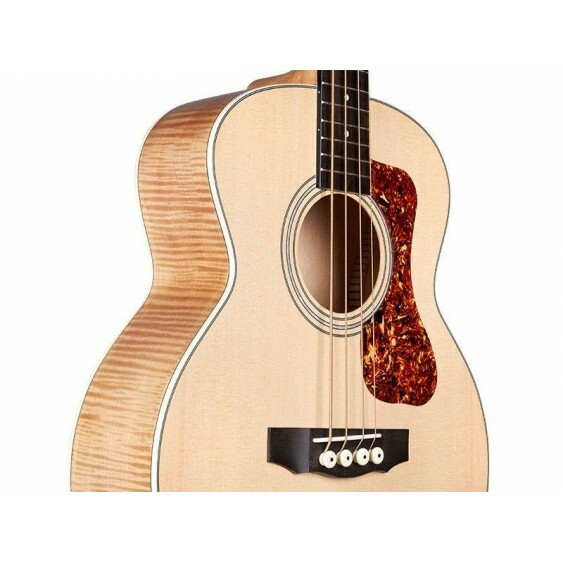 We chose a solid Sitka spruce top and arched flamed maple back to mirror the tonewoods that have been used in upright bass construction for centuries, resulting in a clear, tight bass tone that is impressive for its reduced size. 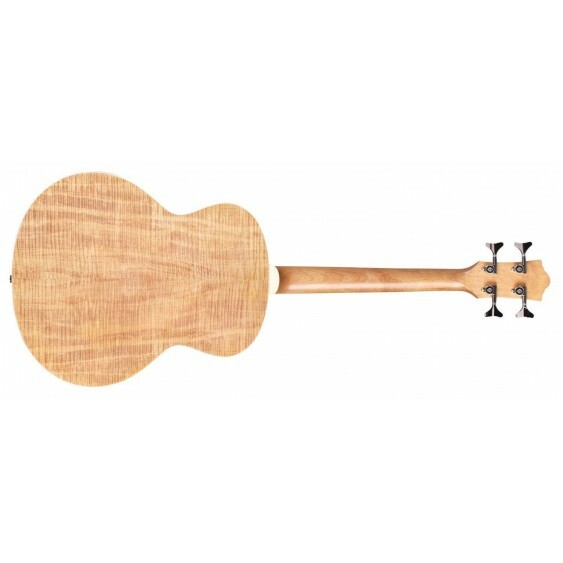 The back, sides and neck are finished in a satin antique blonde finish, which adds a rich depth and unique character to the wood’s figure. 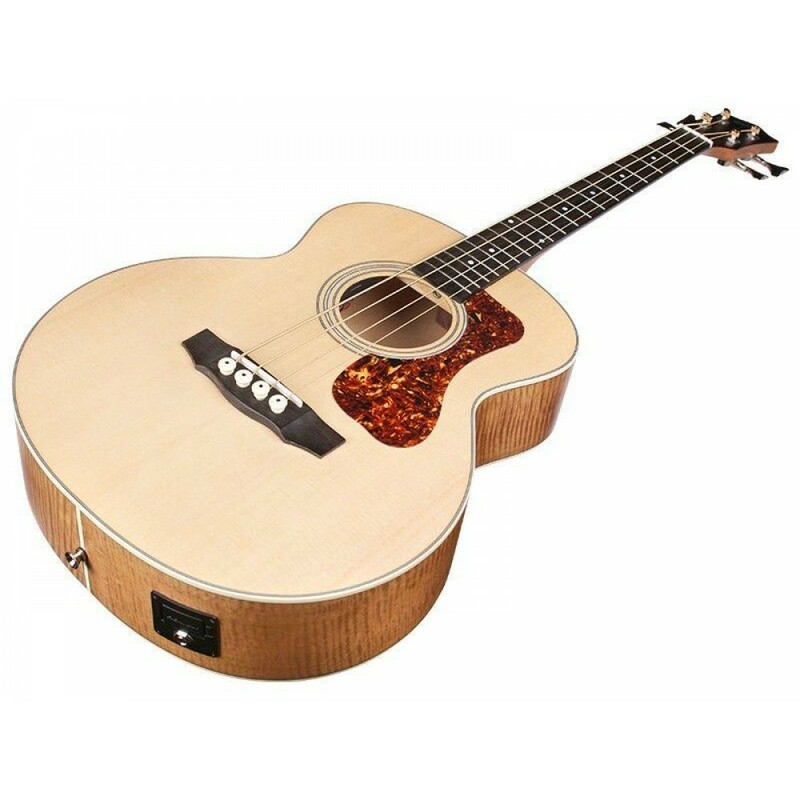 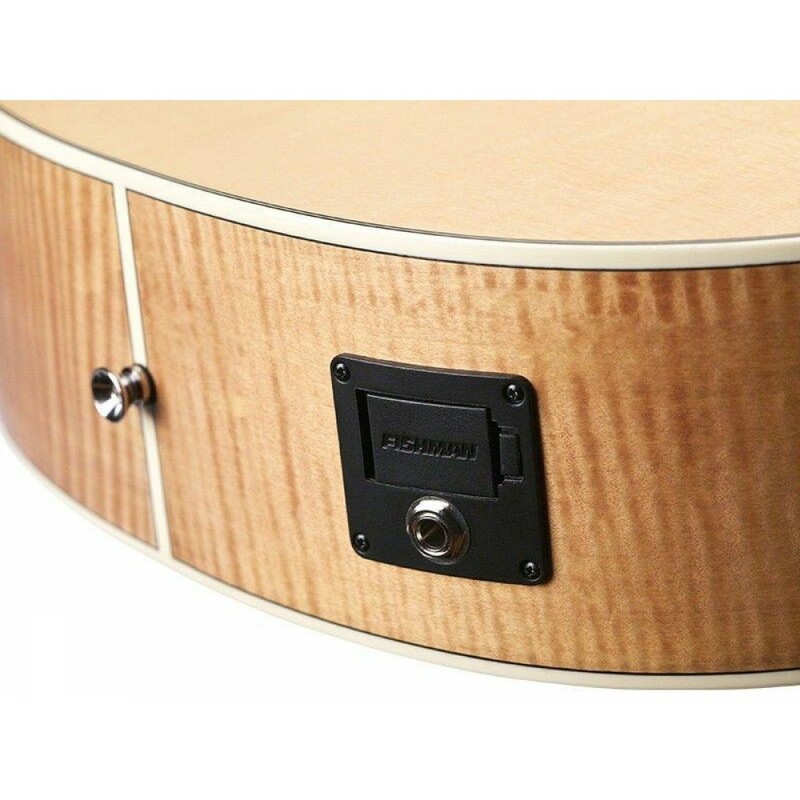 The Jumbo Junior Bass’s deep voice can be amplified or recorded using its onboard Guild AP-1 Active Acoustic Piezo pickup system with built in volume and tone controls. 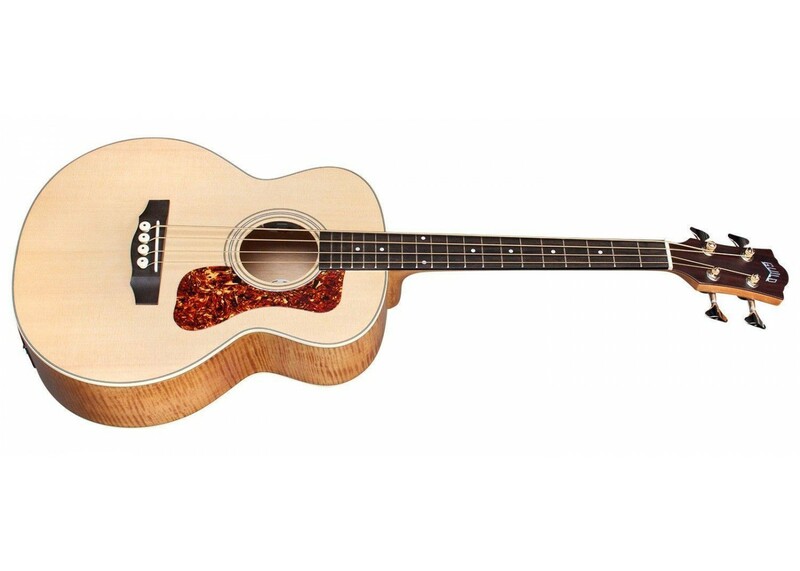 Other standout features include an ebony fingerboard and bridge, bone nut and saddle, mother-of-pearl rosette and Guild peak headstock logo, tortoiseshell pickguard, and nylon-core phosphor bronze strings. 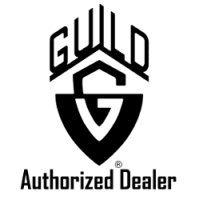 A Guild deluxe padded gig bag is included.